While some fans bemoan the fact that the tournament cuts into spring training, there’s no denying that the action on the field is both exciting and entertaining. That’s especially true as teams advance into the later rounds, consummating with the Championship Round at Dodger Stadium, which begins on March 20. 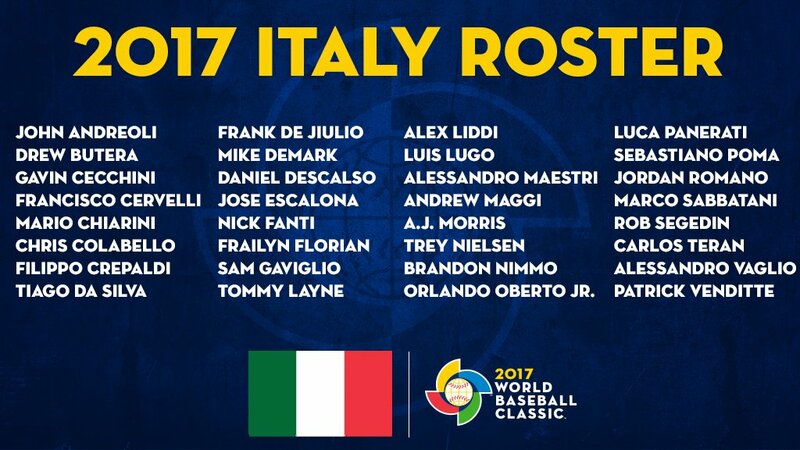 The 2017 World Baseball Classic is just around the bend, and now MLB has released the full schedule for the tournament, which begins on March 6, 2017. Each of the four first-round pools includes four teams. Of those teams, two from each pool advance to a one of two second-round pools. Two teams from each second-round pool will advance to the single-elimination finals round, which gets underway on March 20 at Dodger Stadium. The first two rounds are played under a round-robin format with one-game tiebreakers if necessary. 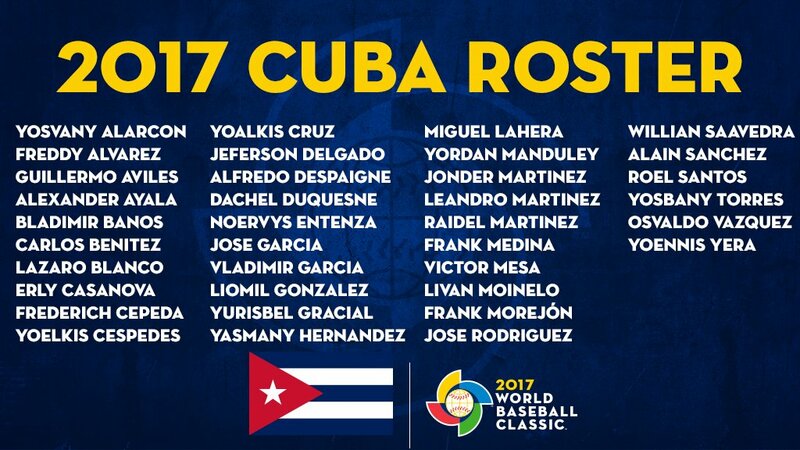 As for the U.S. team, they’ll play in the Miami first-round pool, and they’ll be competing against Colombia, Canada, and defending WBC champion Dominican Republic. Robinson Cano will look to repeat his MVP performance in the 2013 WBC. He’ll be joined in the Dominican outfield by Pittsburgh’s Starling Marte and Gregory Polanco, while Cano, the MVP of the 2013 international extravaganza, will play alongside Baltimore’s Manny Machado and Texas’ Adrian Beltre in the infield. Cleveland’s Edwin Encarnacion won’t be rounding things out around the diamond, however, announcing at his introductory press conference with the Indians that he planned on skipping the WBC, per WKYC.com’s Matthew Florjancic. Even without Encarnacion in the mix, that kind of offensive firepower should make things easier for St. Louis’ Alex Reyes and the rest of the team’s yet-to-be-revealed starting rotation. Two of the game’s best relievers, New York’s Dellin Betances and Tampa Bay’s Alex Colome, will be waiting in the bullpen. Fans will finally get to see what makes Shohei Otani such a special player. 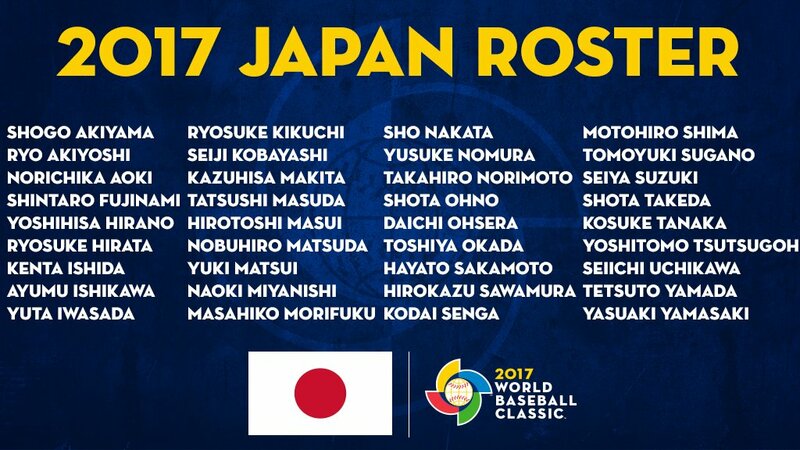 While Houston’s Norichika Aoki is the only current MLB player to have so far committed to playing, the best non-MLB affiliated talent on the planet, Shohei Otani, a 22-year-old dual-threat as a pitcher and a hitter, leads a deep roster that features many players with previous WBC experience. Seattle’s Hisashi Iwakuma, Los Angeles’ Kenta Maeda, and New York’s Masahiro Tanaka are among the current big leaguers who could join Aoki in the tournament. Adding any of them to Japan’s rotation would only improve their odds of winning their third gold medal. Carlos Beltran will look to win gold in what figures to be his final WBC appearance. Four years ago, the Dominican Republic silenced Puerto Rico’s bats in the championship game, holding the team to three hits in a 3-0 loss. Finding offense shouldn’t be difficult this time around, with Javier Baez, Carlos Correa and Francisco Lindor all set to make their respective WBC debuts. On the mound, New York’s Seth Lugo and Minnesota’s Hector Santiago are two of the team’s known starters, while a trio of young relievers—Texas’ Alex Claudio, Seattle’s Edwin Diaz and Detroit prospect Joe Jimenez—give the club a potentially dynamic three-headed monster to deploy late in games. 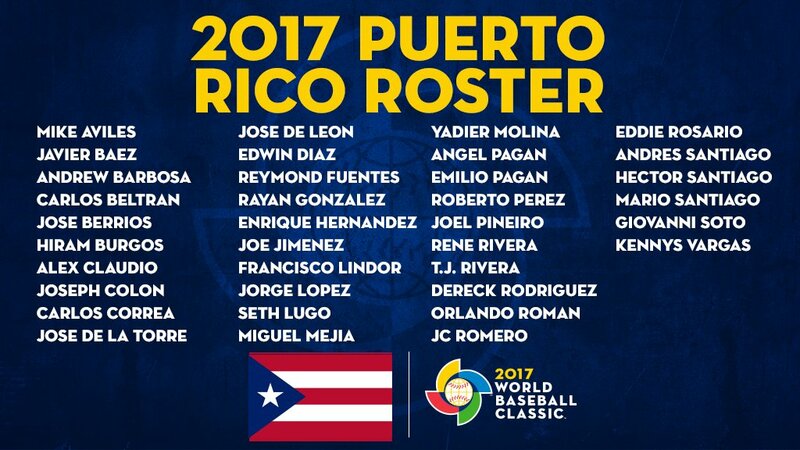 That said, Puerto Rico’s success will hinge on just how productive its star-studded lineup is. With the names we know, it’s not hard to envision another trip to the tournament’s final game. Adam Jones will be looking to improve upon a .467 OPS in the 2013 WBC. It’s inconceivable that the United States has yet to medal at the World Baseball Classic, but the facts are indisputable: Team USA has only made it to the semifinals of the tournament once, back in 2009, when it was eliminated by eventual champion Japan. 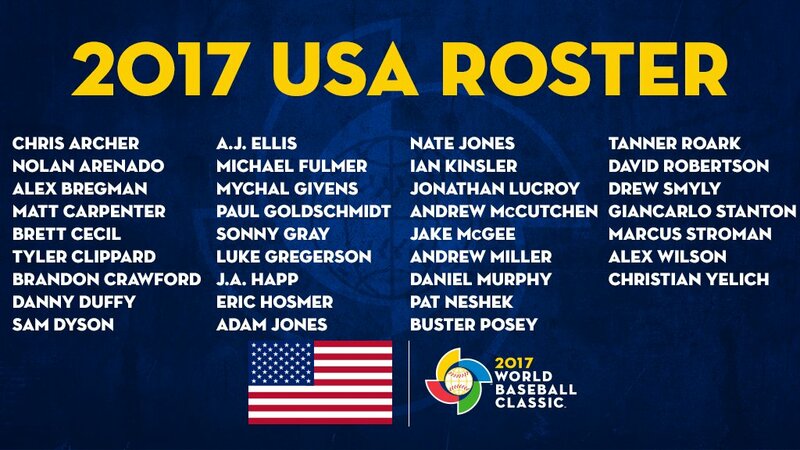 Perennial All-Stars such as Colorado’s Nolan Arenado, Arizona’s Paul Goldschmidt, Detroit’s Ian Kinsler, Washington’s Daniel Murphy are among the eight infielders on Team USA’s roster, while Baltimore’s Adam Jones, Pittsburgh’s Andrew McCutchen and Miami’s Christian Yelich will be roaming the outfield. Tampa Bay’s Chris Archer, Washington’s Tanner Roark and Toronto’s Marcus Stroman give Team USA a trio of excellent starters, with Baltimore’s Mychal Givens, Houston’s Luke Gregerson and Cleveland’s Andrew Miller ready to take the ball when needed out of the bullpen. They’ll be throwing to the duo of Jonathan Lucroy and Buster Posey, arguably the two best catchers in the world. Washington’s Max Scherzer was originally slated to be part of the rotation, but a stress fracture in a knuckle on his right hand will keep him out of action. Speculation has surrounded Los Angeles’ Clayton Kershaw and Boston’s David Price as potential replacements. Games aren’t won on paper. All these big names mean nothing if they can’t get the job done between the lines. 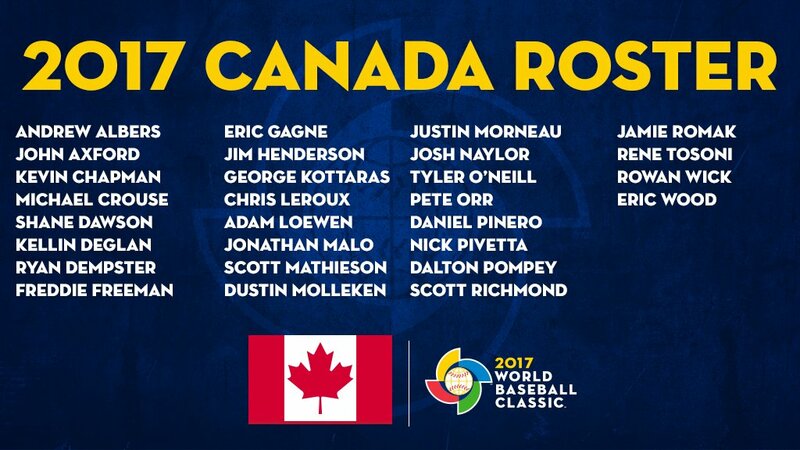 But it’s impossible not to look at Team USA’s roster and think that this could finally be the year they break through to the championship round. 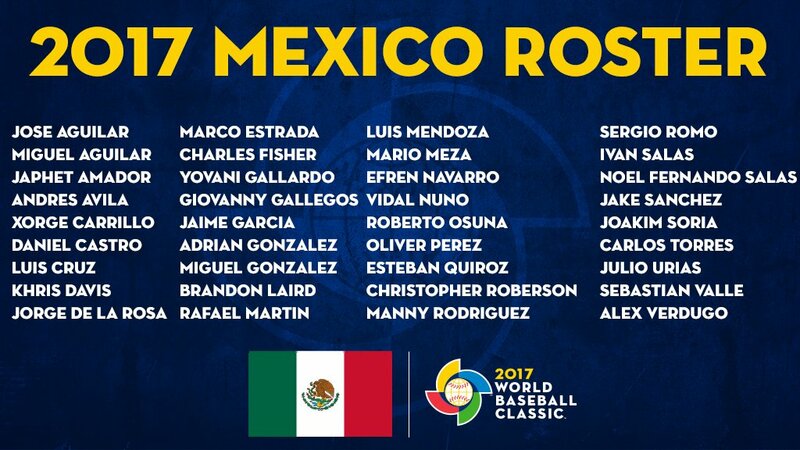 Adrian Gonzalez will have to be a catalyst for Mexico in 2017. That group could recieve even more reinforcements, per Thornburg, with Texas’ Matt Bush, Miami’s A.J. Ramos and Toronto’s Aaron Sanchez looming as potential additions to the roster. The Netherlands needs a big performance from Jurickson Profar, among others. There are lots of questions surrounding the Netherlands when it comes to pitching, especially now that All-Star closer Kenley Jansen isn’t expected to participate, per a report from Bill Plunkett of the Orange County Register. Without Jansen, the team’s pitching staff includes former MLB hurlers Jair Jurrjens, Shairon Martis and Rick VandenHurk. That’s far from intimidating. 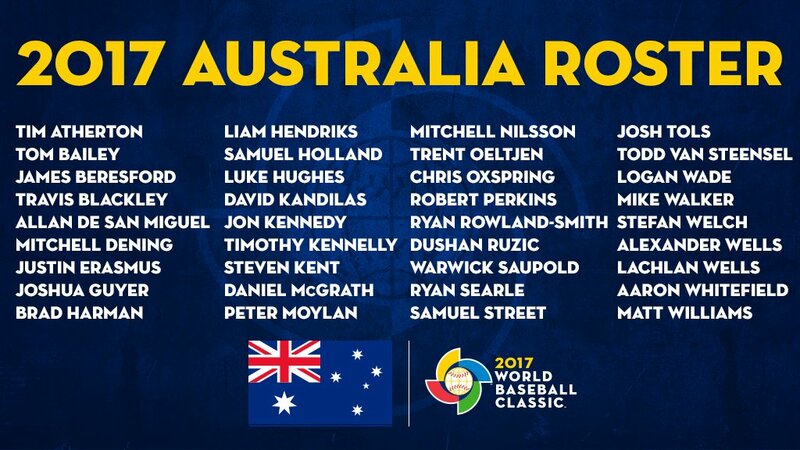 But with Boston’s Xander Bogaerts, New York’s Didi Gregorius, Texas’ Jurickson Profar, Baltimore’s Jonathan Schoop and Los Angeles’ Andrelton Simmons, the Netherlands boast an infield that’s on par with those the favorites in the tournament will be trotting out. At the very least, that quintet makes the Netherlands a dangerous team to face, one that’s capable of putting a bunch of runs on the board in a hurry. Whether their pitchers will be able to keep the opposition’s bats at bay, however, remains to be seen. Seattle’s Dae-Ho Lee was a force for Korea in the 2013 WBC. 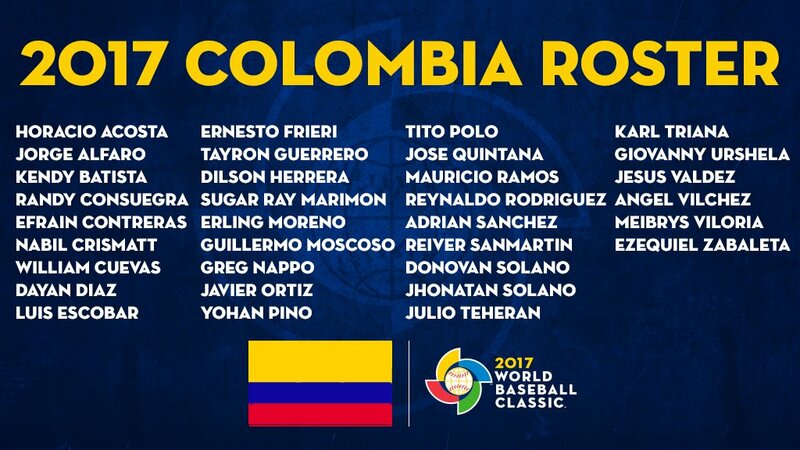 One of the only teams that has already finalized its roster for the 2017 WBC, Korea boasts an experienced group that features a trio of MLB players—Texas’ Shin-Soo Choo, Seattle’s Dae-Ho Lee and Baltimore’s Hyun Soo Kim. Notable absences from the club are Pittsburgh’s Jung Ho Kang, St. Louis’ Seung-Wan Oh and Minnesota’s Byung Ho Park. Kang was kicked off the team earlier this month after news broke that he was involved in a DUI incident; Oh was suspended for gambling by the Korean Baseball Organization before he signed with St. Louis last season; and Park is recovering from wrist surgery. MIguel Cabrera’s presence ensures that Venezuela will be competitive in the WBC. 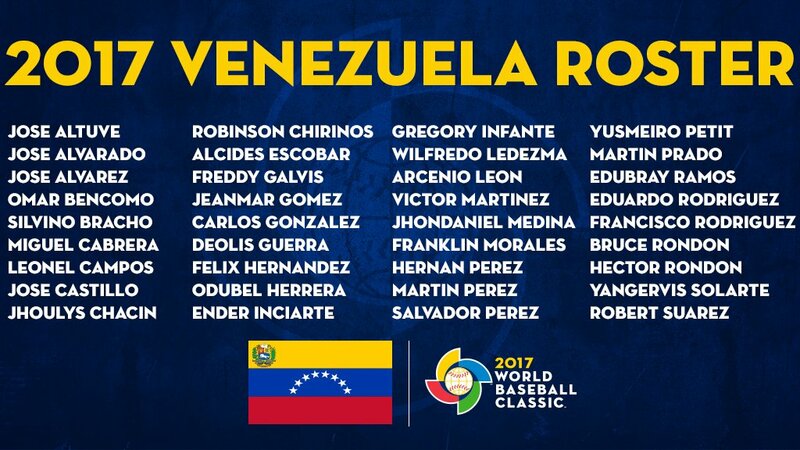 It’s hard to look at some of the big-name talent on Venezuela’s roster and not consider the club a favorite in the WBC. Houston’s Jose Altuve, New York’s Asdrubal Cabrera, Detroit’s Miguel Cabrera, Colorado’s Carlos Gonzalez and Kansas City’s Salvador Perez give Venezuela a dangerous, formidable offense, while Felix Hernandez returns as the ace of the pitching staff. Will Cleveland’s Carlos Carrasco join King Felix in the rotation? Will Detroit’s Fernando Rodriguez and Bruce Rondon sign on to serve as the team’s primary relievers? Who will join CarGo in the outfield? The answers to those questions will ultimately decide if Venezuela is truly a contender or just a pretender. Odds are tight near the top, but Team USA is a +200 favorite to be the last squad standing. America, which has never finished higher than fourth in the event, is stacked with MLB talent from top to bottom. Infield depth may be Team USA’s biggest strength, as the likes of Nolan Arenado, Paul Goldschmidt and Daniel Murphy will be suiting up for the club. 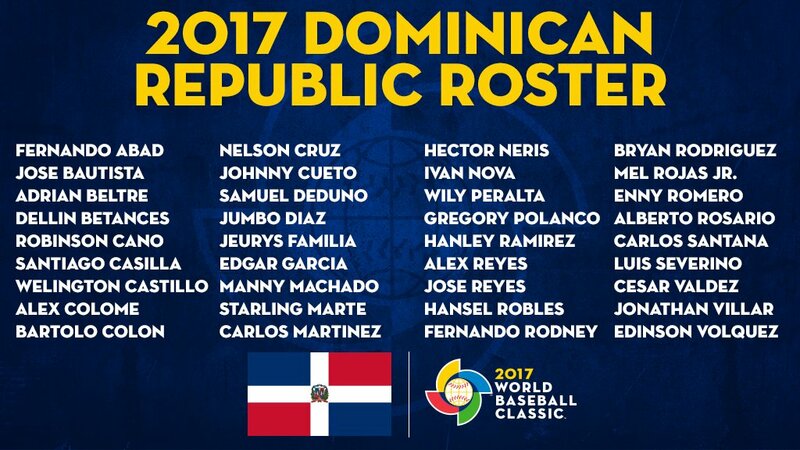 The defending champions come from the Dominican Republic (+250) and their all-star roster. Though pitching may be an issue for the club, their hitting is undeniable with Adrian Beltre, Robinson Cano, Manny Machado and Nelson Cruz forming one of the most terrifying lineups you could imagine. Japan (+300) is close behind the USA and Dominican, as the two-time winners have never finished worse than third in the event. The roster features plenty of unknowns for most North Americans but is loaded with the elite players in the Nippon Professional Baseball league. The most intriguing player on the roster, who could soon be making his way to the MLB, is 22-year-old Shohei Otani. The youngster is quickly developing a cult following, as he has dominated both as a pitcher (career 2.49 ERA) and a DH (career .275 BA with 40 home runs). One team to keep an eye on is Venezuela (+900). Two teams from each pool advance to the next round and Venezuela is in a relatively weak pool featuring Mexico, Italy and Puerto Rico. Venezuela should easily make it out of the first round but will have a tough task, as they will be competing against the top teams in Pool C (likely USA and Dominican Republic). However, Venezuela has a chance to win any time they send Felix Hernandez to the mound.